Harry Christophers is known internationally as Founder and Conductor of The Sixteen as well as a regular guest conductor for many of the major symphony orchestras and opera companies worldwide. He has directed The Sixteen choir and orchestra throughout Europe, America and the Asia-Pacific region, gaining a distinguished reputation for his work in Renaissance, Baroque and 20th-century music. He has made a significant contribution to the recording catalogue (already comprising over 100 titles) for which he has won numerous awards including the coveted Gramophone Award for Early Music and the prestigious Classical Brit Award in 2005 for his disc Renaissance. His CD Ikon was nominated for a 2007 Grammy and his second recording of Handel’s Messiah on The Sixteen’s own label Coro won the prestigious MIDEM Classical Award 2009. In 2009 he also received the coveted Gramophone Artist of the Year award as well as Best Baroque Vocal for Handel’s Coronation Anthems. Harry Christophers has been Artistic Director of Boston’s Handel and Haydn Society since 2008 and will continue in this role until at least 2015. He is Principal Guest Conductor of the Granada Symphony Orchestra and regularly appears with the Academy of St Martin-in-the-Fields. 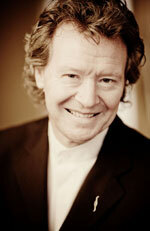 As well as performing on the concert stage Harry Christophers continues to lend his artistic direction to opera. In 2006, Mozart’s anniversary year, he conducted Mozart’s Mitridate for the Granada Festival and after his outstanding success at Buxton Opera in past seasons, he returned in 2012 to conduct Handel’s Jephtha. Previous opera productions include Mozart’s Die Zauberflöte and Purcell’s King Arthur for Lisbon Opera, Monteverdi’s The Coronation of Poppea, Handel’s Ariodante and Gluck’s Orfeo for English National Opera and the UK premiere of Messager’s Fortunio for Grange Park Opera. Harry Christophers received a CBE in the Queen’s 2012 Birthday Honours List. He is an Honorary Fellow of Magdalen College, Oxford, as well as the Royal Welsh College of Music and Drama, and has an Honorary Doctorate in Music from the University of Leicester.